Clean, pure impervious mesh-mounted glass mosaic tiles captivate and catch the light. Jewel-like tesserae in clear or translucent glass, stand-alone or working in tandem with other materials, immediately attract attention and add drama to any installation. 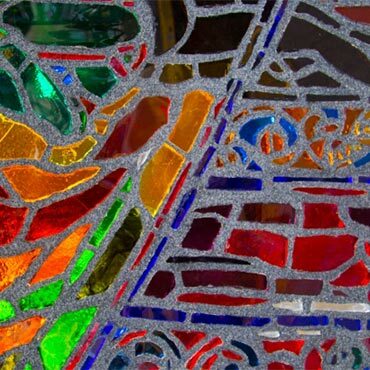 Glass mosaic tiles are easy to clean, non-absorbent and emits no harmful VOCs. Sheets can be easily cut into smaller modules to customize a space.